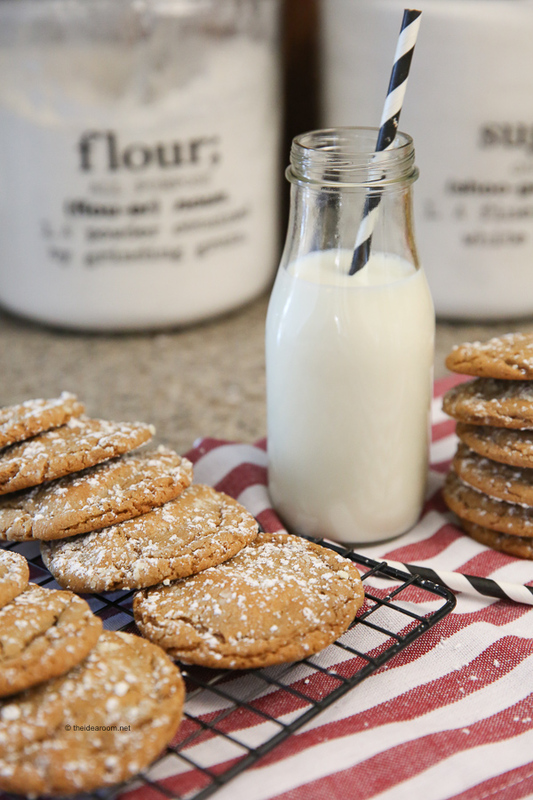 A good Molasses Cookies Recipe is so good and full of flavor. 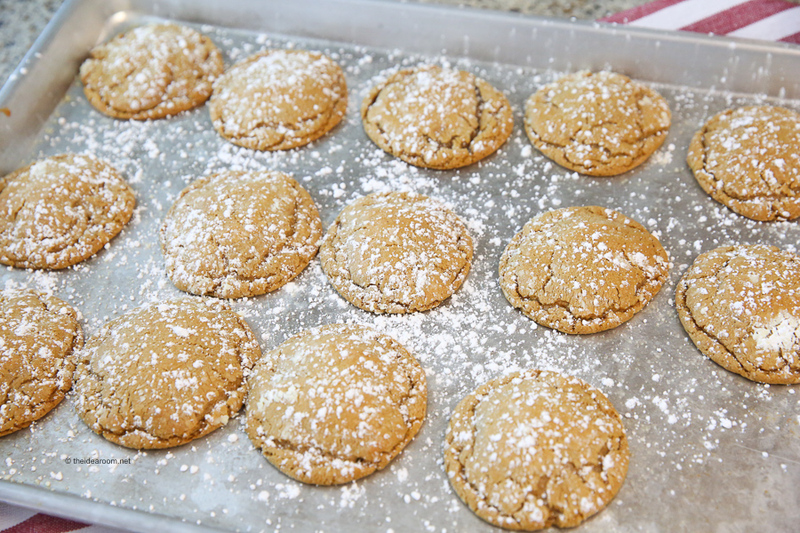 Especially these Ginger Molasses Cookies. 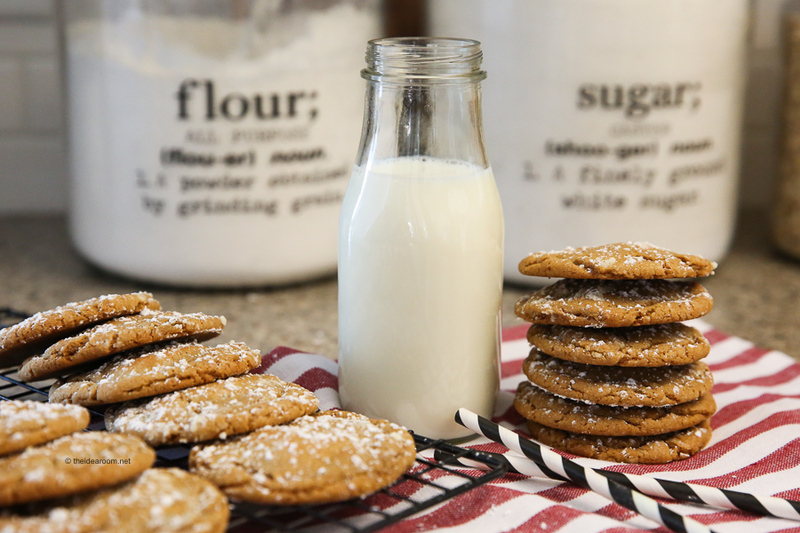 Try our Soft Molasses Cookie for your next get together with family and friends! Cookies are one of our favorite Holiday treats! 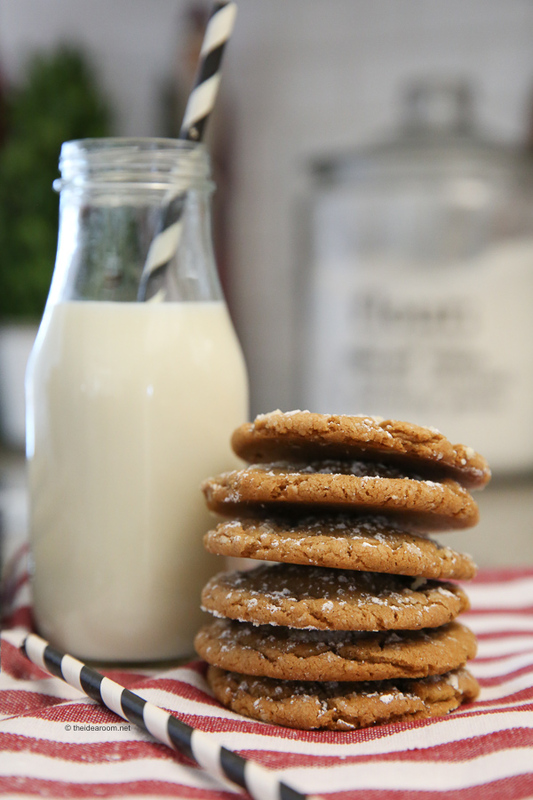 This Molasses Cookie Recipe is in my top five cookie recipes. They are so full of flavor and taste amazing! They are one holiday classic that we make every single Christmas…but they are good any time of the year! 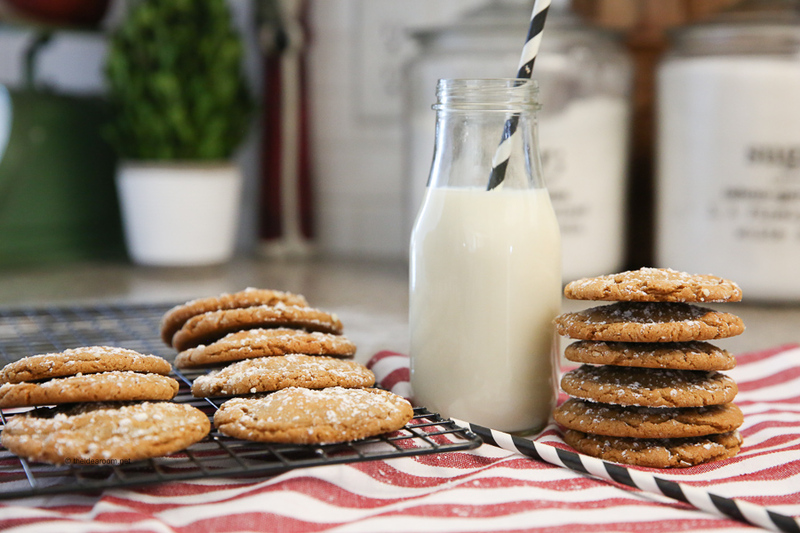 These Molasses Cookies are the perfect chewy cookie and always turn out amazing! You might need to make a double or a triple batch though, because they don’t last long when we put them out for our holiday guests! If you want to be sure to get some, make a batch and hide it for yourself! They freeze well, so they are perfect to make ahead of time and freeze for later. Then all you need to do is pull them out and let them thaw before serving…although I have been known to sneak them out of the freezer and eat them right then and there! In a mixer, cream together shortening, sugar, molasses and eggs until smooth and creamy. Add in the rest of the dry ingredients and mix well. Pour in the milk to give the dough some moisture. Roll the dough into 1 inch balls and then roll them in sugar if not frosting them with the icing glaze. Place cookies on greased cookie sheet. Bake at 375 degrees for 7 to ­9 minutes. Do NOT overbake unless you want Gingersnaps. We like to dust them after they have soaked and cooled with some confectioners sugar to give them an little extra holiday flair! 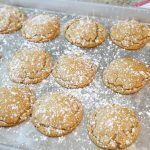 These classic cookies have a hint of that old-fashioned ginger molasses cookie flavor which makes them a popular Holiday classic cookie recipe! What are your favorite Christmas Holiday Cookies? These look like amazing cookies, something I might have to try. #2 There is NO Quantity listed, which is one of the First things I look for when viewing a recipe. I Understand that the first is just a typo, but you might want to correct that for others. Please…..Can you please list the Quantities on this, and all recipes? Love this site. I visit almost Daily. Christie- Thank you for letting me know. It is suppose to be 7 to 9 Minutes. Also, the quantity it makes is 3-4 dozen depending on the size you make. Thank you for following along. I’m guessing they should be baked 7-9 minutes not 79 minutes? Debbie-Yes, just fixed. Thank you! Just made these…was skeptical because I didn’t have butter flavored shortening, but reg shortening, used one cup short and half butter,…the dough didn’t look promising,,,but oh my goodness,,,once out of the oven and still warm, delicious!!! Helen- So happy they turned out! These are a favorite holiday cookie at our house. I love them drizzled with melted white chocolate. So good! Kara- That sounds amazing. I will have to try chocolate on them next time I make them. Sooooo delicious! Perfect for the holidays! Becca- They are a great holiday cookie!